Dhaka, 15 Mar, Abnews: A medical team reached in Kathmandu on Thursday to assist doctors at Kathmandu Medical College where US-Bangla Plane crash victims were undergoing treatment. 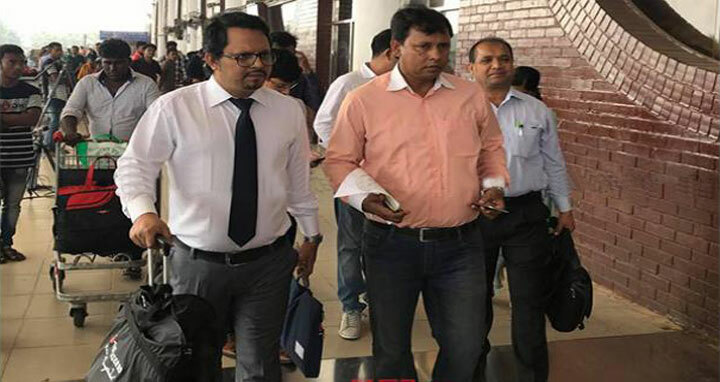 The medical team led by Dr Lutful Kader, associate professor of Dhaka Medical College Hospital, comprised of burn and DNA specialists set off for Nepal by a flight of Biman Bangladesh Airlines around 11:05am. Md Kamrul Islam, General Manager (Marketing Support and PR) of US-Bangla Airlines confirmed the matter. The team also includes orthopedics specialists, burn specialists, surgery experts, he added.